Through my values and my deep commitment to your true wellness, I want to ensure that you get relief from pain, released from any medications and that you’re renewed with our gentle, personal care. Through this, you can thrive. Shall we get started? 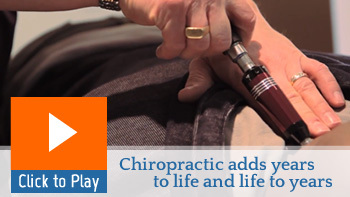 Contact our St. Vital Chiropractic office to set up your consultation. My first appointment went very well. I was very satisfied! I was well informed and educated with every procedure/assessment done that day and felt comfortable! I was given adequate time to explain my problem. I did not feel rushed. I felt I was given a good explanation of the treatment plan. It was really wonderful to meet Dr. Mark, and I really appreciate that he took the time to get to know me and my family and explain his work and how he can help as thoroughly as he did. We didn’t feel rushed or as if we were just a number. Wonderful!! I’ve felt the difference already within 2 visits actually! I am definitely a believer now.